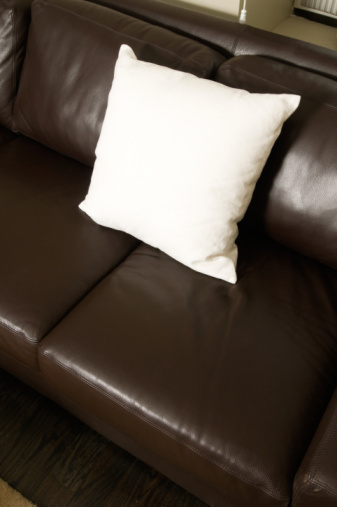 Leather is a natural material and it's porous nature causes it to absorb stains. Oil stains on any material can be a nightmare; with leather, the best tactic is to remove the oil stains as quickly as possible. Thorough removal of oil stains on your leather products will prevent the site of the stain from attracting other dirt particles, resulting in an oily, discolored area on your leather. Even oil stains from the natural oils in your skin can be removed from leather. 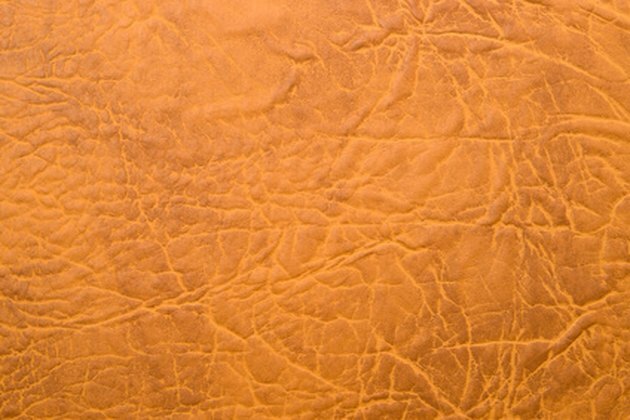 Leather is made from animal hides. Saturate the oil stain on your leather with cornstarch. Work the cornstarch into the leather pores by rubbing it in with your fingers for a few minutes. Allow the cornstarch to absorb the oil stain for 30 minutes before vacuuming it off and applying more cornstarch to the stain. Leave the second application on the oil stain on your leather for a few hours or overnight, dependent upon the severity of the stain. Vacuum the cornstarch off your leather. Create a mild soapy solution for washing your leather using a capful of saddle soap in 1/2 gallon of warm water. Wash the site of the oil stain on your leather to ensure you've removed all the cornstarch and any remaining traces of oil. Rinse the leather with a clean cloth, dampened in water, then dry with another cloth. Rub leather conditioner into the leather to restore moisture and add a protective coating to your leather. Follow the directions on the leather conditioner container.